Keeping up with your guests’ growing list of food allergies and dietary restrictions can be a challenge, but it’s one we at Hudsons are happy to meet. Over the years, we’ve seen more and more people being diagnosed with allergies and sensitivities to food. Add to that the number of people who are choosing special diets and you can end up having to accommodate vegetarian, vegan, gluten-free, lactose-free, halal and not to forget fussy younger guests – all at the same event! 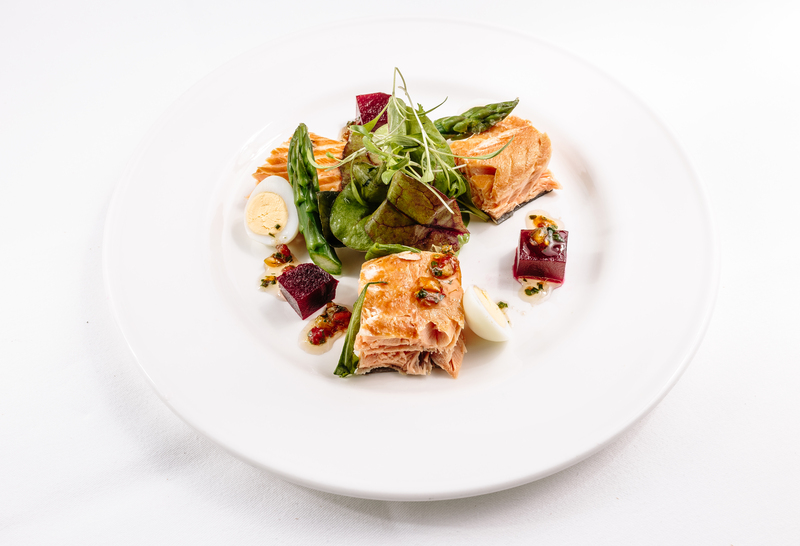 Hudsons create thousands of elegant meals each year and we take the food allergies and sensitivities of our clients and their guests very seriously. In fact, it’s usually one of the first questions we ask a client when we meet. Often, we will amend existing recipes or create new ones altogether to comply with a special dietary request and a huge portion of our menu is total adaptable as we create all our dishes from scratch with fresh ingredients. We often get calls from guests or hosts of an upcoming event who are worried there won’t be anything for them or their guests with specific needs to eat and often it can be a bride or host who doesn’t want to feel uncomfortable on their big day. A huge mis-conception we find out clients have when we first meet is that a meal will have to be ‘boring’ if they have any dietary concerns, we even recently met a bride who told us she had ‘made peace’ with the fact she was not going to have a very exciting wedding meal due to her dietary restrictions and the smile on her face was huge when we assured her that was not the case at all! Vegetable Wellington & our delicious Sticky Toffee Pudding! For food allergies, Gluten is at the top of the list, closely followed by dairy and wheat. 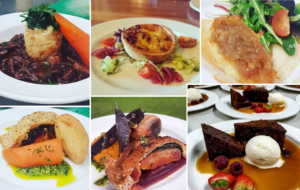 But, when you’re talking dietary restrictions, we see more and more requests for Vegetarian and Vegan events with us recently catering for several completely vegan and vegetarian events and weddings. Even if most guests are meat lovers, clients want their event to reflect their tastes and they’re excited to introduce their guests to innovative, delicious, seasonal and socially responsible foods. It’s important to ask your prospective caterer about their knowledge and comfort level preparing special meals and unique menus, as with hiring an independent external caterer you should be opening your event up to a tailor-made experience if that is what you so wish. At Hudsons, we confidently prepare vegan, vegetarian, gluten-free, dairy-free, soy-free, nut-free, and other special meals each and every day. Our goal is to create the most delicious experience for you and all of your guests. We’re caterers and that’s what we do best!